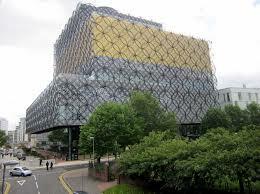 The Library of Birmingham, United Kingdom, is, according to Wikipedia, the largest free cultural center in Europe. It is located in my husband’s home town. We recently traveled from our small town of Hollister, CA to Birmingham. 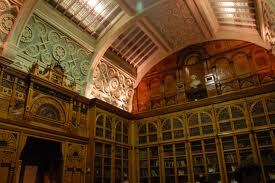 While we were there visiting, we took some time to see this public library. Having been raised in the United States, my idea of a public library is a far cry from this wonder world of literature. I’ve been in libraries in small towns and big cities in the US, and they all seem to have the same feeling of being an afterthought. Most libraries in the US are solemn, quiet, dowdy buildings where some books are housed and where occasionally the doors are opened to allow people in to borrow books. The library of Birmingham is not noisy. It isn’t quiet, either…not like the quiet hush of US libraries. While my husband and I were there, at one point he touched my elbow and said to me….”listen to that….this building is alive!” He was right. If you stand quietly, you can hear the sounds of young people laughing to children’s stories echoing up from the bottom floor, and the sounds of studious adolescents and school kids doing research and talking with their study buddies. You can hear the sounds of tourists milling through the library…amazed by the beauty of the architecture and the sheer volume of printed books. You can hear gasps of wonder at the views of the city landscape from the top floor. Yes, the building is full of the sounds of people living moments of joy and wonder and curiosity and knowledge gained and reignited passion. My Mother-In-Law enjoyed spending some time researching her family tree on the fourth floor, where there are special computers that are connected to census data to assist individuals in finding information about their family’s history. 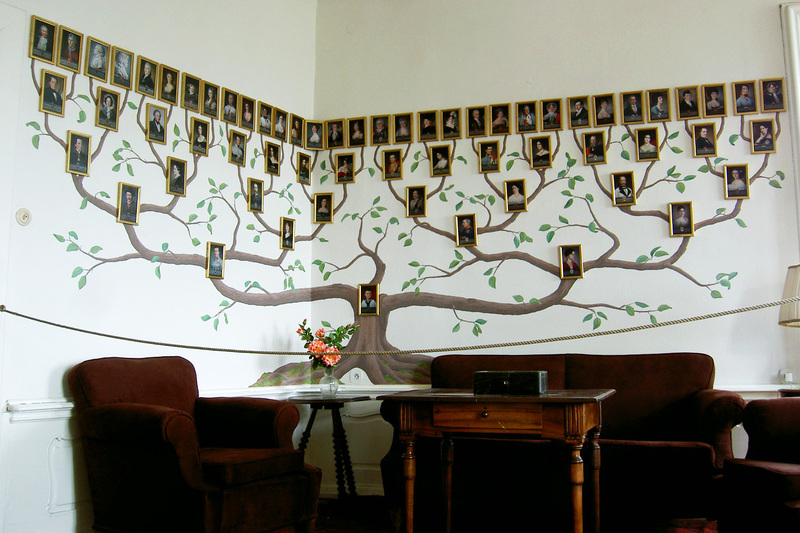 There were many people there researching their families. This was a special hour of time invested in my husband’s family. It meant a lot to all of us that the library made this possible, at no cost. The people who planned this library were very forward thinking individuals. 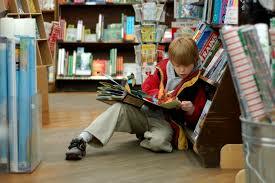 They recognized that the age of technology is rapidly making printed books a thing of the past. 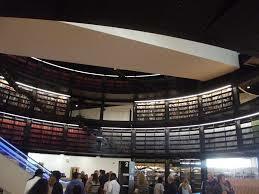 The Library of Birmingham is not just a library….it is a museum of literature. From the lobby, where there is a gift shop and a coffee shop and displays of art work from local schools, to the “Shakespeare Room” on the ninth floor, it is a work of wonder and something for Birmingham to be proud of. In many ways, this touches my soul and reminds me that humans have the capacity for great love and generosity. And in just as many ways, it causes me to wonder what has happened to the ability of the American people to love its citizens? We are a country that fights over whether or not to provide for the poor. We fight over whether or not to care for the weak and needy. Would we give a multi-million dollar free library to our citizens? We spend millions on military defense while cutting school budgets and slashing funds for public services. Are we really the greatest nation on earth? This entry was posted in Personal, Travel and tagged Book, Family, Hollister, Library, Love, Mind, People, Public library, Thought, West Midlands, Zen. Bookmark the permalink.